A soul connection knows no distance. The heart has no boundaries. Love transcends space and time. – I love you with my heart and soul. I give you my heart and soul. I love you with everything that I am. I will love you as long as my heart beats. 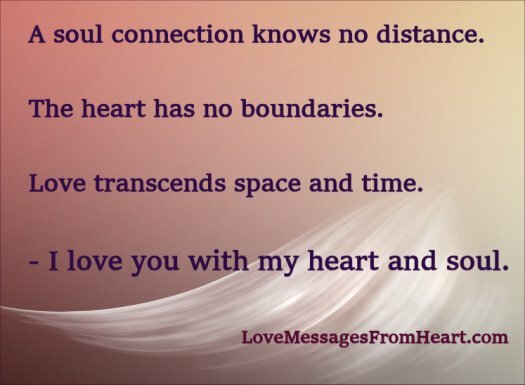 My dear, my love for you knows no limits… you are in my heart and soul. I love you every hour of the day, even if I don’t say it with words.